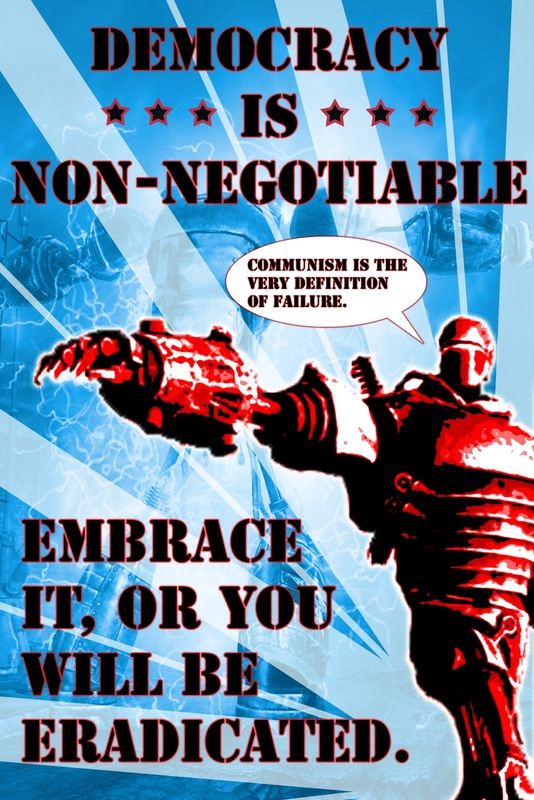 Communism has ‘failed’, or so the common observation goes. More often, one hears the opinion that the Soviet Union ‘failed’, or that the communist countries of Eastern Europe did so as well. But what does ‘failure’ mean here? Usually it simply means that they came to an end, even that they were not eternal. Dig deeper and the ‘failure’ is marked by a host of items: dictatorship and totalitarianism rather than ‘democracy’ and ‘freedom’; the sad reality that was far from the perfect dream; the fragmentation that arose instead of the voluntary union of working people from many ethnic and religious backgrounds; state capitalism instead of communism; and simple betrayal of revolutionary Marxism. My answer in the face of this persistent propaganda is that they did not fail, and that communisms – plural – as such have not failed. To be sure, they had and continue to have many problems, for they are not perfect by any means, but this is not failure. 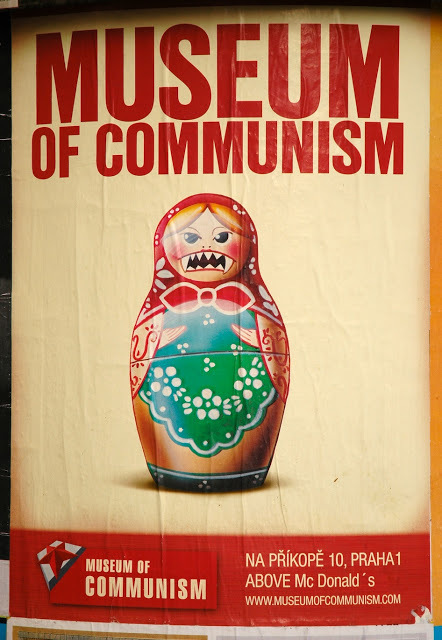 In order to deal with the various caricatures of failure, let us travel to various parts of the world, both ‘post-communist’ and still communist. ‘Post-communist’ is what the locals call Romania. Neither communist nor capitalist in any conventional sense, it is in a period never experienced before and thereby unique. One feature of this period is the coming to terms with Nicolae Ceaușescu, the second communist leader of Romania, from 1967-1989. On one side, Ceaușescu is held up as the example of all that is bad about communist dictatorship. Propagator of the ‘mini-cultural revolution’ after his ‘July Theses’ in 1968, he fostered a North Korean style personality cult, gave himself many honours, attempted to build ‘socialism in one family’ by appointing family members to high posts, and destroyed the country economically in the 1980s by attempting to repay onerous debts incurred from Western European countries. In short, he was the most ‘Stalinist’ of all the eastern bloc leaders, ruling by decree and through his feared secret police, the Securitate. The lynching of him and his wife in 1989 is regarded as unfortunate but necessary. Yet, in a widely publicised opinion poll in July 2010 by IRES (Romanian Institute for Evaluation and Strategy), 41% of the respondents said they would have voted for Ceaușescu if he had been alive and run for the position of president. 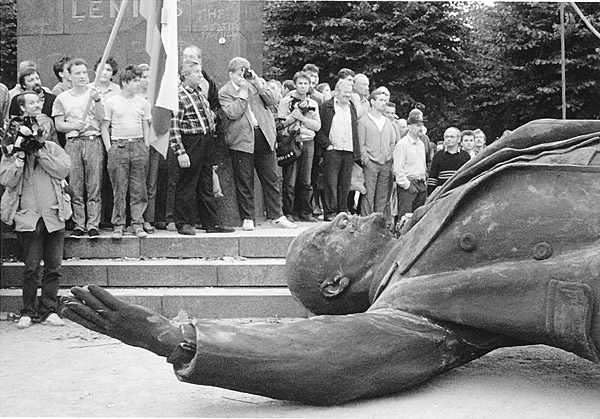 Further, 63% said their lives were better during communism, while only 23% stated that their lives were worse. And 68% stated that communism was a good idea, but had been poorly applied. The facetious response to such a result is that it merely reflects a tainted nostalgia for communism. But Romanians are smarter than that. Let me put this in perspective: the respondents were reflecting on the worst period under the communist government in the 1980s. Earlier, Ceaușescu had fallen into the trap of taking up heavy loans from Western Europe for the sake of economic expansion. However, by 1982, the debt had become an onerous burden, so he decided to repay it through exporting much of Romanian agricultural and industrial production. This resulted in shortages of food, fuel, energy, and medicines. Yet, it was precisely this period that the respondents said was better than what they have now. Since 1989, the situation has become decidedly worse. The economic devastation of the 1990s, the de-industrialisation of Romania as Western European countries bought up the factories and promptly closed them, and then the swathe cut through the country after the rolling economic crisis of 2008 – all these have made the 1980s look like a relatively benign period. I cannot help thinking of Lukács adage: ‘bad communism is better than good capitalism’. Ask an older Bulgarian today what they remember most from 1989 and it is highly likely she will say, ‘It was a glorious feeling to know that when you made a phone call, you didn’t have the feeling that someone else was listening’. And the answer will be, ‘We prefer not to answer that’. The answer is soon obvious. Travel on any road and you find it potholed beyond belief. Walk any street and you run a serious risk of being knocked on the head by a falling brick or crumbling façade. Ask anyone what they do for a living and the answer will be evasive, since less than 25% of the population is in formal employment. Or if you inquire after someone’s family, chances are the children have moved internationally to find a new life and job. Indeed, in a few years after 1989, two million people left Bulgaria, reducing its population from nine to seven million. What about communism? Was it perfect? Did it meet its own high aspirations? Denigrators are of course keen to point out its failings, stressing the gaps between the grand aims of the Bulgarian Communist Party, which was the government from 1944 to 1989, and its failings. But communism is by no means perfect. As Lenin and Mao pointed out repeatedly, winning a revolution is the easy part; constructing socialism is far, far more difficult. 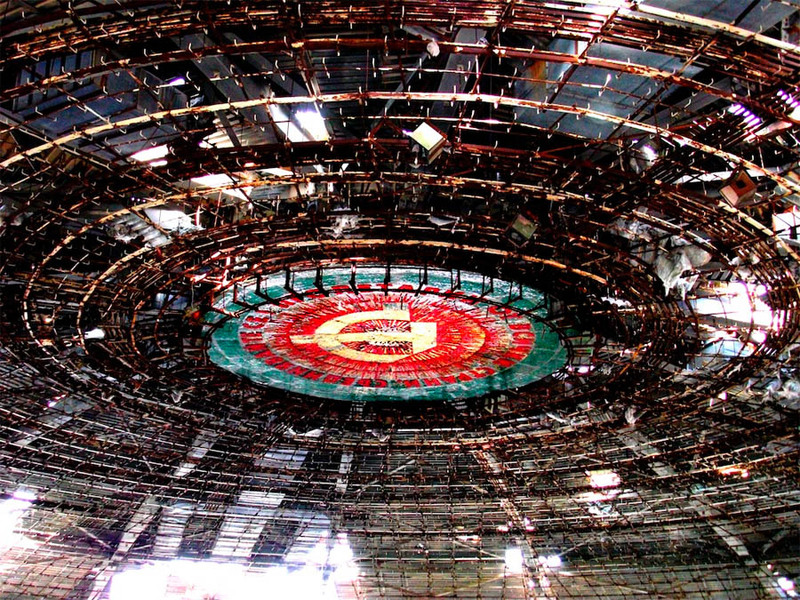 So, let us see what the Bulgarian communist government did achieve, keeping in mind the difficulties and a modest sense of what was indeed achievable. The communist government had three leaders, the revolutionary hero, Georgi Dimitrov (1946-49) who died too young, Vulko Chervenkov (1949-54) and the long-lived Todor Zhivkov (1954-89). Zhivkov may have had his limits, like any leader, but his time was marked by political stability and a steady increase in living standards. 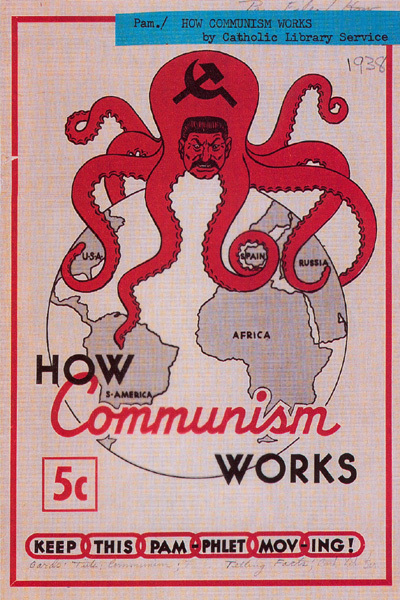 The reason: communist central economic planning. Already in the late 1950s, real wages increased by 75 per cent, returning people to pre-war levels, while collective farm workers were the beneficiaries of the first agricultural welfare and pension scheme in Europe. By the 1960s, agricultural incomes rose by 6.7 per cent per year and industrial incomes rose by 4.9 per cent annually. Consumption of healthy foods – fruit, vegetables and even meats – increased significantly, while doctors and medical facilities became commonly available. As a result, fewer children died and people lived longer. While 138.9 in 1,000 children under the age of one died in 1939, by 1990 it was 14 in 1000. And those who survived could expect to live longer: life expectancy rose to over 68 years for men and over 74 years for women. Indeed, a reasonable number could expect to make a century: in the late 1980s, 52 people were found over one hundred years of age per one million. Meanwhile, Zhivkov exercised his ‘tyrannical’ rule. People often made jokes about his dialect and proletarian manners. But did Zhivkov have the perpetrators arrested and punished by the secret police? No, he collected them for a good laugh now and then. He was usually known as ‘bai Tosho’ (old uncle Tosho) or ‘Tato’, a dialectical term for ‘poppa’. 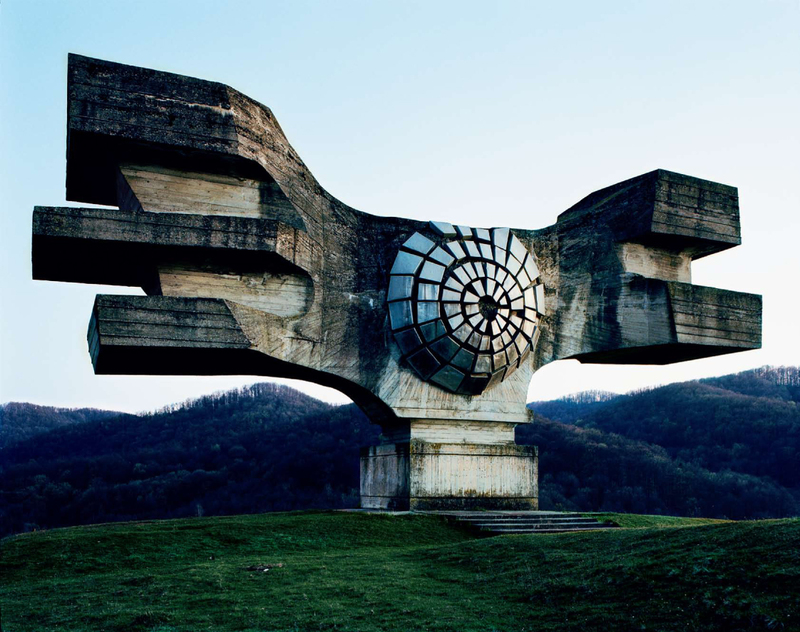 Balkanisation is perhaps the term that captures best the image of Yugoslavia – or, rather, the ‘former’ Yugoslavia. Tito may have kept the disparate peoples of that part of the world together for a while, due to his personal charm and iron fist, but it was only a matter of time before it would all fall apart. Deep-seated ethnic hatreds and religious animosity – between Islam, Orthodoxy and Roman Catholicism – would resurface eventually, and of course they did with the Balkan War of the 1990s. Or so the official narrative went from the members of the EU and the NATO alliance, which deliberately sought to destabilise and break up yet another socialist country. The NATO attacks on Yugoslavia ensured that they would succeed. However, the real situation was quite different. Yugoslavia is one of the best examples of what has been called ‘affirmative action’ in relation to ethnicities, cultures and religions. Given the range of peoples and regions in Yugoslavia, the constitution was explicitly designed as an affirmative action constitution. The Socialist Federal republic of Yugoslavia comprised six republics and two autonomous provinces that were part of the socialist republic of Serbia. Given the great ethnic diversity of Yugoslavia, the constitution and the framework of the laws sought to ensure that smaller groups were not discriminated against by larger ones. The measures included very strong anti-discrimination laws, with heavy penalties for vilification in terms of ethnicity, language, and religion. Further, in provinces and regions, local people were encouraged to take up government positions, and local languages, cultures, social formations and education were fostered. At a federal level, all republics and autonomous regions, no matter what the size, had equal representation in the federal government. This entailed toning down the dominance of the larger parts, so they didn’t lord it over the others. Needless to say, this was a constant work in progress, but the model for this approach was the first affirmative action state in human history – the USSR. It may come as a surprise to some, but the chief theoretician of what was called the ‘national question’ was Stalin. Coming from Georgia – a part of the world with some of the most complex intersections of multiple ethnicities – Stalin developed an increasingly complex approach to the question of ethnic diversity. This approach may have been primarily theoretical before the Russian Revolution, but it grew significantly in the practical experience that followed the revolution. Through the civil war and then the immense task of constructing a very different state (since the former state had largely collapsed and threatened to leave nothing but anarchy in the vacuum), Stalin built his arguments. The principle was that each ethnic area and group should have the right to self-determination and autonomy, especially in light of centuries of tsarist repression by the ‘great Russian’ majority. Only on this basis would a new, voluntary union arise: ‘Thus, from the breakdown of the old imperialist unity, through independent Soviet republics, the peoples of Russia are coming to a new, voluntary and fraternal unity’. In practice, of course, this was easier said than done. After the revolution, the old ruling elites in the various border regions immediately claimed the right to secession and autonomy. Stalin was astute enough to see through the game and the policy became one of recognising autonomy only when a workers and peasants soviet formed the government in each area. Further, such autonomy involved a delicate play of central policies and regional initiatives. Thus, the central government sought to foster local languages, culture, literature, education, government and even religion to some extent. In some cases, especially in the southern and eastern border regions, this required a program of educating and training local leaders and institutions, even to the point of creating written languages in oral cultures. At the same time, local initiatives fed into the policies of the central government, which then changed its policies in light of such input. Already in 1918, Stalin made a crucial breakthrough. Due to the sheer size and diversity of what was to become the USSR, Stalin saw that his position on the national question also applied to anti-colonial movements throughout the world. So he wrote that the October Revolution ‘has widened the scope of the national question and converted it from the particular question of combating national oppression in Europe into the general question of emancipating the oppressed peoples, colonies and semi-colonies from imperialism’. If one supports the emancipation of ethnic minorities within the USSR, then the same should apply to any colonised place on the globe. Over the following years, this insight was developed into an international policy of supporting anti-colonial struggles around the world. The will of the peoples of the Soviet republics, who recently assembled at their Congresses of Soviets and unanimously resolved to form a “Union of Soviet Socialist Republics,” is a reliable guarantee that this Union is a voluntary association of peoples enjoying equal rights, that each republic is guaranteed the right of freely seceding from the Union, that admission to the Union is open to all Socialist Soviet Republics, whether now existing or hereafter to arise, that the new union state will prove to be a worthy crown to the foundation for the peaceful co-existence and fraternal co-operation of the peoples that was laid in October 1917, and that i t will serve as a sure bulwark against world capitalism and as a new and decisive step towards the union of the working people of all countries into a World Socialist Soviet Republic. Citizens of the USSR of different races and nationalities have equal rights. 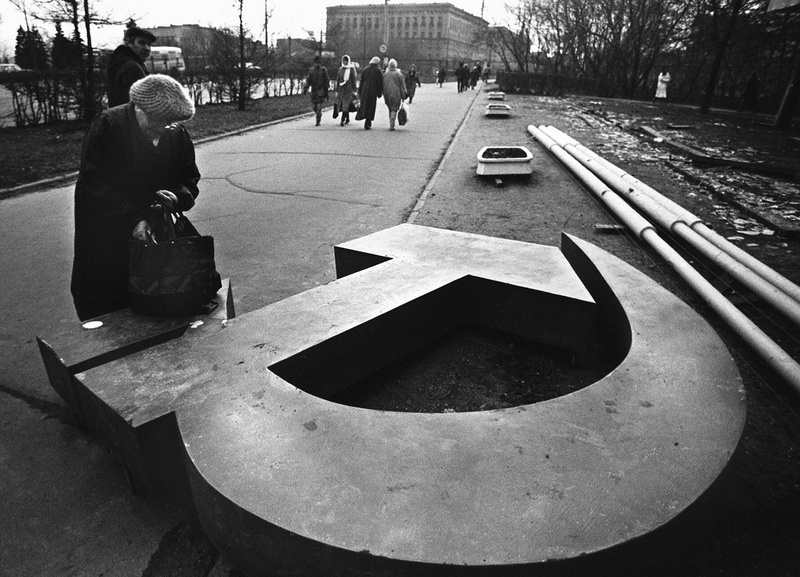 Exercise of these rights is ensured by a policy of all-round development and drawing together of all the nations and nationalities of the USSR, by educating citizens in the spirit of Soviet patriotism and socialist internationalism, and by the possibility to use their native language and the languages of other peoples in the USSR. Any direct or indirect limitation of the rights of citizens or establishment of direct or indirect privileges on grounds of race or nationality, and any advocacy of racial or national exclusiveness, hostility, or contempt, are punishable by law. This socialist model of state organisation carries through today in China, where the ethnic minorities – more than 55 of them – are fostered in similar terms, while efforts are made to keep in check Han dominance. ‘China is more capitalist than any other country’– or so one hears on a reasonably regular basis, even from socialists who perhaps should know better. Old Maoists like Alain Badiou hold that China veered that way under Deng Xiaoping, ‘he who follows the capitalist path’. Ephemeral socialists like Slavoj Žižek opine that Chinese capitalism is unbridled in a way unlike that of the bourgeois democracies of Europe. ‘State capitalism’ it is often called, even more than the Soviet Union (the term ‘state capitalism’ was first used by Karl Liebknecht to describe the German economy in the 1890s). Various strands are responsible for such a characterisation – anarchist criticisms, Trotskyite assessments, radical laissez faire assessments, and time-bound Maoists – although all of them turn on an idealised, if not romanticised, view of what communism should be. Such a view is idealist, since it holds communism to be a rational idea that is yet to be realised, and believes that communism is singular rather than plural. Needless to say, such a communism always remains in the utopian future. 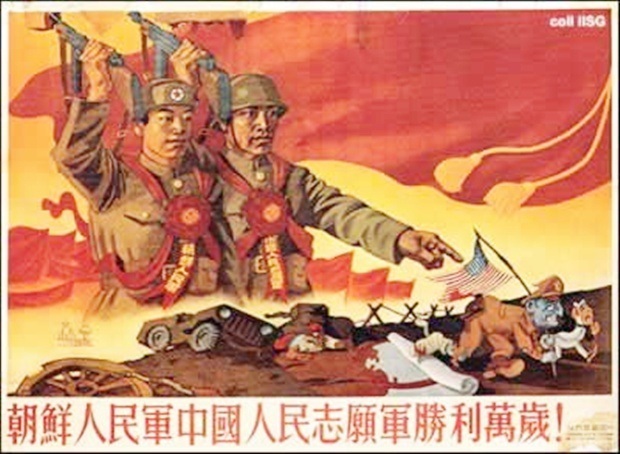 So let us attempt an analysis that takes into account the realities of the situation in China today, rather than idealist projections of a communism yet to come. 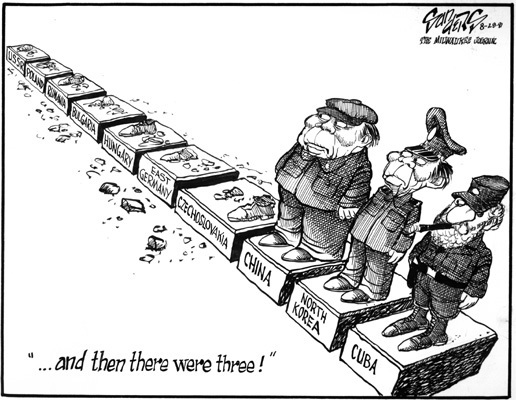 In the tradition of Marx and Engels, I suggest three variations on the socialist dialectic: the use of capitalism to build socialism; the need to foster the full development of capitalism under socialist guidance so that communism may emerge; the need for economic and political strength in a global situation that remains hostile to Chinese socialism. The first may be drawn from Lenin’s justification of the New Economic Program: using capitalism to build socialism. For Lenin and the soviet government it meant permitting certain levels of market exchange with the countryside, granting concessions to some international mining companies and industries, and employing specialists at higher rates of pay to rebuild an economy and indeed country destroyed by a series of wars and revolutions. In China and under Deng Xiaoping’s urging, the process began to go much further, for Deng argued that there was no necessary contradiction between socialism and some capitalist economic forms, assuming that the latter would be directed by the former. Indeed, Deng Xiaoping understood the mandate that Marxism is practice in the sense that it would make use of what would unleash productive forces. The employment of some capitalist methods was to be undertaken as a way of ‘accelerating the growth of the productive forces’. Deng always understood this approach as part of the strengthening of socialism, not merely in terms of economic strength, but also in terms of political and social strength. I would add that today this process continues, almost to the point of paradox (to an outside observer). Thus, the 2014 meetings of the Political Bureau of the Chinese Communist Party agreed to continue the process of reforming the economy, while at the same time President Xi Jinping sought to strengthen Marxism by blocking any push for bourgeois democracy, and by drawing heavily on Mao Zedong concerning the ‘mass line’ campaign in its push for closer integration and sensitivity between government and people. The second variation on the dialectic is to argue that the full development of capitalism needs to be fostered under the direction of a communist government that has already won power in a revolution. China is in a unique situation, for it missed its chance to develop into a capitalist economy and thereby develop the classic pattern for socialist revolution in the context of a ‘mature’ capitalism. Instead, the socialist revolution happened before the full development of capitalism. 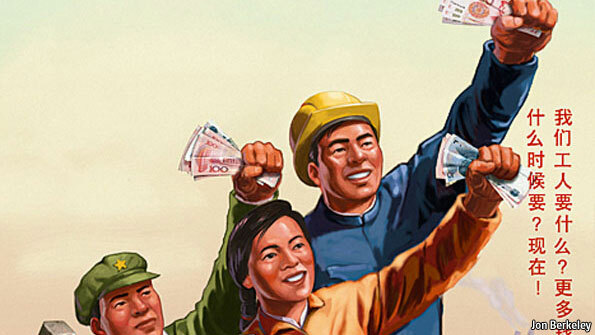 Thus, in order to develop its forces of production to a point where they are superior to capitalist ones, China has found it necessary to foster the economic potential of capitalist forces of production so they may provide the basis of socialist forces of production. That is, China has returned to a capitalist economy so as to develop forces of production for socialism. This approach relies on an insight from Marx: ‘A social formation never comes to an end before all the forces of production which it can accommodate are developed, and new, higher relations of production never come into place before the material conditions of their existence have gestated in the womb of the old society’. Socialism in an orthodox sense is not socialism unless it develops from capitalism. Yet the Chinese approach gives this Marxist orthodoxy an extraordinary and apparently paradoxical twist, for China is already politically a socialist country. So it has developed an approach in which the forces of capitalist production are harnessed for the sake of creating a situation for the full realisation of socialism. In this light we may read Mao Zedong’s observation, ‘Thus this revolution actually serves the purpose of clearing a still wider path for the development of socialism’. This dialectic means that one is, in economic terms, in favour of capitalism for the sake of the development of forces of production, but that one is, in political terms, against capitalism for the sake of the development of relations of production. The third form of the dialectic is the most direct: the drive for economic strength in whatever way is absolutely necessary, since socialism needs to be powerful, economically and militarily, in order to flourish. In China, this approach has borne obvious fruit. China has become the second largest economy in the world and is disrupting the global status quo, even without as yet realizing its full potential. BRICS and the Shanghai Cooperation Zone are already challenging the hegemony of the International Monetary Fund and the World Bank. The increasing obsession with Chinese economic power in the United States and Western Europe is but a reflection of their own stumbles and declining position. Already in some respects, China is more technologically advanced than any other place on the globe. And with economic power comes military strength, which remains a necessity in the Realpolitik of persistent hostility to socialism. 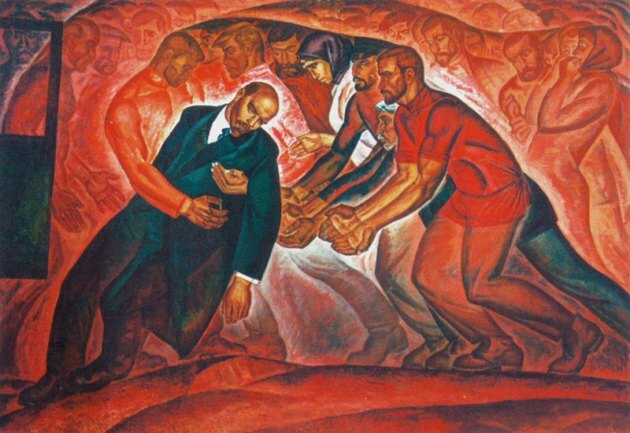 The longest-lived effort to construct socialism was the USSR, but in this case we find the deployment of one or both biblical narratives – a ‘betrayal’ or a ‘Fall’ narrative – to account for its ‘failure’. For many, Stalin embodies the manifestation of that betrayal. Was he not, after all, a paranoid and omniscient dictator, ruling by a bloodthirsty and capricious will? Caricatures aside, once one opts for a narrative of the ‘Fall’, one is playing a theological game. By ‘Fall’ narrative I mean a narrative that is structured in terms of a fall from grace, analogous to the story in Genesis 2–3, in which Eve and then Adam eat of the fruit of the forbidden tree (of the knowledge of good and evil) and are thereby banished by God from paradise. 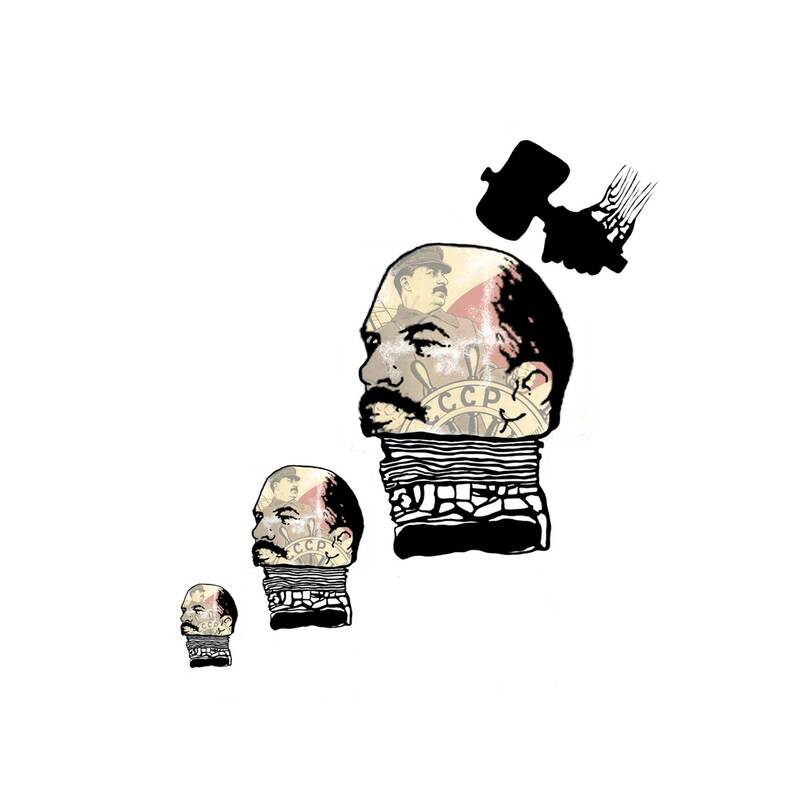 Since Stalin has been written off most as the quintessence of the betrayal of Marxism – especially after the concerted efforts of Khrushchev’s politically motivated ‘Secret Report’ and Hannah Arendt’s wayward work, The Origins of Totalitarianism – attention has turned to Lenin. Did he too betray Marxism and the revolution, thereby setting up the completion of that betrayal by Stalin? Did he begin the process of running the revolution into the mud of authoritarianism, repression, and dictatorship? Most feel that Lenin did at some point betray the revolution, thereby setting the ‘Fall’ narrative on its way. The least generous suggest that it happened even before the revolution, especially through Lenin’s supposedly devious machinations and his refusal to cooperate with other socialist groups such as the Mensheviks and SRs, both Left and Right wings. Indeed, for such critics, communism by its very nature leads to such betrayal. For others, the moment of the ‘Fall’ is the October Revolution itself, or soon afterwards. 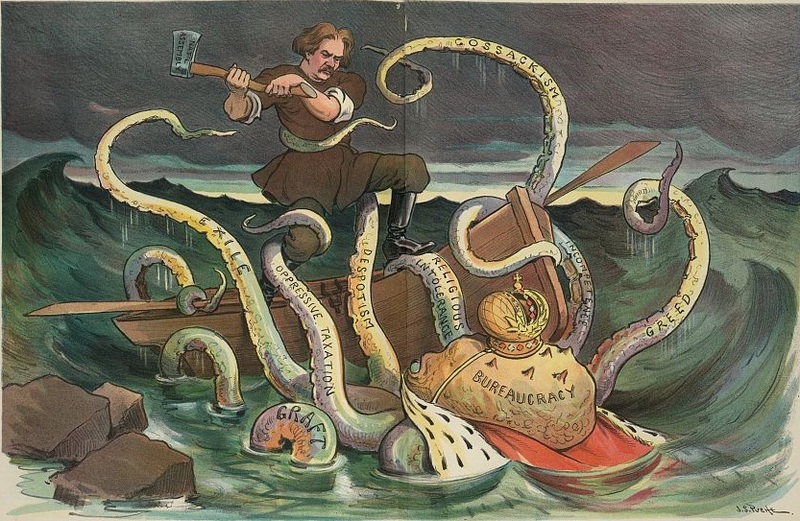 The formulations vary, but the point is the same: the party and even the working class disintegrate; the Bolsheviks do everything possible to distort in most horrendous ways their own principles; Lenin’s thought loses it coherence; bureaucracy becomes pervasive; a transformation takes place from a flexible, democratic, and open party to one of the most centralized and ‘authoritarian’ political organisations in modern history; the dictatorship of the proletariat becomes the dictatorship of the secretariat; the revolution shifts from being a revolution from below to one from above; the democratic soviets crumble before a centralized and dictatorial party. Unfortunately, such ‘Fall’ narratives bear an inescapably theological dimension, in which a fall from grace obscures the complex messiness of history. They also neglect Lenin’s repeated point that the revolution itself is easy; far more complex is the construction of communism, when many mistakes are made. Yet others lament the lost opportunities, suggesting that a broad, cross-party socialist government, such as the one established in the February Revolution, was the ideal. Others entertain the possibility that the brief time after the revolution was valid, but that the ‘civil’ war corroded all the gains, for it was a period of centralized control, tough measures, the Cheka, and ‘war communism’, all of which betrayed the revolution. A solution for some is to side with Trotsky, arguing that if he had won out over Stalin, the situation would have been far different. Apart from the obvious fallacy of such a position, it succumbs to the dreams of alternative histories. All of them belong to the genre of revolutionary ‘Fall’ narratives, accounts of betrayal of the communist revolution. In response, I rely upon the insight of Cockshott and Cottrell. Refusing the facile dismissals by many on the Left in order to distance themselves from Stalin, they argue that the full implementation of a communist economic system happened under Stalin. Through the Five-Year plans beginning in the late 1920s, the capitalist mode of extracting surplus value was replaced by a planned economy, in which surplus was controlled and allocated by the planning mechanism. Under Soviet planning, the division between the necessary and surplus portions of the social product was the result of political decisions. For the most part, goods and labour were physically allocated to enterprises by the planning authorities, who would always ensure that the enterprises had enough money to ‘pay for’ the real goods allocated to them. If an enterprise made monetary ‘losses’, and therefore had to have its money balances topped up with ‘subsidies’, that was no matter. On the other hand, possession of money as such was no guarantee of being able to get hold of real goods. By the same token, the resources going into production of consumer goods were centrally allocated. Suppose the workers won higher ruble wages: by itself this would achieve nothing, since the flow of production of consumer goods was not responsive to the monetary amount of consumer spending. Higher wages would simply mean higher prices or shortages in the shops. The rate of production of a surplus was fixed when the planners allocated resources to investment in heavy industry and to the production of consumer goods respectively. They do not shy away from the conclusion that this outcome was largely what Marx anticipated, with one caveat: it took place under a form of authoritarian communism. I would add that such a phase is necessary for any effort to construct communism. Genuine revolutionary fervour characterized much of the effort, but for those less inclined to engage, forced labour, exile, and ‘terror’ were deployed. Stalin embodied the sheer grit of the revolutionary ‘miracle’ required to adopt such a radically new economic system. As Domenico Losurdo has pointed out, the demonization of communism has continued unabated since the nineteenth century, so much so that it has become a comprehensive black legend. He also argues that it has become a twisted caricature that has little to do with actual history. The same may be said of the motif of communism’s ‘failure’ – in terms of dictatorship, perfection, dissent, the turn to capitalism and betrayal or ‘Fall’ narratives. But when pressed, a critic will fall back on the simple point that communism in many places came to an end. The toppling of the Berlin Wall is the symbol and the rolling back of communism in Eastern Europe and even in parts of Asia (such as Mongolia) is the reality – or so it is argued. The reply is equally simple: let us leave aside the continuing socialist countries in Asia, let alone the South American versions of socialism, and ask: why is longevity, or indeed eternity, a criterion for success? The fact that communism has actually appeared over more than a century is ample proof of the success and continuing appeal of communism. It may be for shorter or longer periods of time, it may even establish itself relatively permanently, but it has appeared. I propose a more modest criterion of success. If a socialist revolution is able to see off the counter-revolution – in the form of internal opposition and international hostility – then it is a success. The reason is that after crushing the counter-revolution, the opportunity arises for the peaceful construction of socialism in all its multiple forms. And if it comes to an end sooner than one hopes, the old adage applies: try and try again. J. V. Stalin, ‘The Government’s Policy on the National Question,’ Works, volume 4 (Moscow: Progress Publishers, 1953 ), p. 237. J. V. Stalin, ‘The October Revolution and the National Question,’ Works, volume 4 (Moscow: Foreign Languages Press, 1953 ), pp. 169-70. ‘Appendix 1: Declaration of the Formation of the Union of Soviet Socialist Republics.’ In J. V. Stalin, Works, volume 5 (Moscow: Foreign Languages Press, 1953), p. 404. See http://www.departments.bucknell.edu/russian/const/36cons04.html#chap10. It also included the crucial article 124: ‘In order to ensure to citizens freedom of conscience, the church in the U.S.S.R. is separated from the state, and the school from the church. Freedom of religious worship and freedom of antireligious propaganda is recognized for all citizens.’ This eventually led to the rapprochement between the Orthodox Church and the Soviet government, especially during and after the Second World War. Among many references, see V.I. Lenin, “Achievements and Difficulties of the Soviet Government,” in Collected Works, vol. 29, 55-88 (Moscow: Progress Publishers, 1919 ), pp. 68-74; V.I. Lenin, “From the Destruction of the Old Social System to the Creation of the New,” in Collected Works, vol. 30, 515-18 (Moscow: Progress Publishers, 1920 ); V.I. Lenin, “The Tax in Kind (The Significance of the New Policy and Its Conditions),” in Collected Works, vol. 32, 329-65 (Moscow: Progress Publishers, 1921 ), p. 334-53; V.I. Lenin, “New Times and Old Mistakes in a New Guise,” in Collected Works, vol. 33, 21-9 (Moscow: Progress Publishers, 1921 ). Deng, “There Is No Fundamental Contradiction Between Socialism and a Market Economy,” in Selected Works of Deng Xiaoping, vol. 3, 99-101 (Beijing: Foreign Languages Press, 1985 ), p. 100. Yi Yang, “China’s Leadership Takes ‘Big Exam’,” Xinhua News, 23 March 2014. http://news.xinhuanet.com/english/indepth/2014-03/23/c_133208015_5.htm. Marx, “Preface to A Contribution to the Critique of Political Economy,” in Marx: Later Political Writings, ed. Terrell Carver (Cambridge: Cambridge University Press, 1996), p. 160. Mao, “On New Democracy (January 15),” in Mao’s Road to Power: Revolutionary Writings 1912-1949, ed. Stuart R. Schram, vol. 7, 330-69 (Armonk: M. E. Sharpe, 1940 ), p. 335n. For instance, the “pivot to Asia” and effort to “contain” China by the USA and its smaller allies are already in tatters as China develops close ties with Russia, India, Africa and South America. See Domenico Losurdo, Stalin: Storia e critica di una leggenda near (Rome: Carocci editore, 2008). Hannah Arendt, The Origins of Totalitarianism (New York: Harcourt, Brace, Jovanovich, 1973 ). In this case, the Left has been deeply complicit in the Western agenda of the Cold War. Bruce Lincoln’s Passage through Armageddon: The Russians in War and Revolution 1914-1918 (New York: Simon and Schuster, 1986); Red Victory: A History of the Russian Civil War (New York: Simon and Schuster, 1989). Theodore H. von Laue, Why Lenin? Why Stalin? A Reappraisal of the Russian Revolution, 1900-1930 (London: Weidenfeld and Nicolson, 1964); Oskar Anweiler, The Soviets: The Russian Worker, Peasants, and Soldiers Councils, 1905-1921 (New York: Pantheon, 1974 ), 195-253; Marcel Liebman, Leninism Under Lenin (London: Merlin, 1975 ), 213-356; Tony Cliff, The Revolution Besieged: Lenin 1917-1923 (London: Bookmarks, 1987); Samuel Farber, Before Stalinism: The Rise and Fall of Soviet Democracy (London: Verso, 1990); Moira Donald, Marxism and Revolution: Karl Kautsky and the Russian Marxists, 1900-1924 (New Haven: Yale University Press, 1993), 221-46; Sheila Fitzpatrick, The Russian Revolution (Oxford: Oxford University Press, 1994), 156-72; Daniel Bensaïd, “Leap! Leaps! Leaps!,” in Lenin Reloaded: Towards a Politics of Truth, ed. Sebastian Budgen, Stathis Kouvelakis, and Slavoj Žižek, 148-63 (Durham: Duke University Press, 2007), 156; Neil Harding, Lenin’s Political Thought (Chicago: Haymarket, 2009), vol. 2, 283-328. Alexander Rabinowitch, The Bolsheviks in Power: The First Year of Soviet Rule in Petrograd (Bloomington: Indiana University Press, 2007). Cliff, The Revolution Besieged: Lenin 1917-1923. 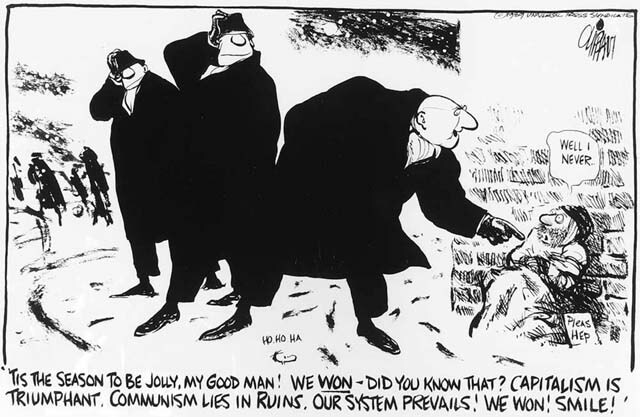 W. Paul Cockshott and Allin Cottrell, Towards a New Socialism (Nottingham: Spokesman, 1993), 4-5. Domenico Losurdo, Stalin: Storia e critica di una leggenda near. If publishing or re-posting this article kindly use the entire piece, credit the writer and this website: Philosophers for Change, philosophersforchange.org. Thanks for your support. I’ve been a communist for a little while, and an active one, meaning lots of contact with the “general public”. All in the context of a country that really doesn’t have a clue what socialism and communism are, but hates them nonetheless. Every place that has experienced both socialism and capitalism (i.e. the former “Eastern Bloc” etc.) prefers the former over the latter. That should be enough evidence for anyone: Socialism works.